for $1,875,000 with 7 bedrooms and 4 full baths, 1 half bath. This home was built in 1902 on a lot size of 0.80 Acre(s). 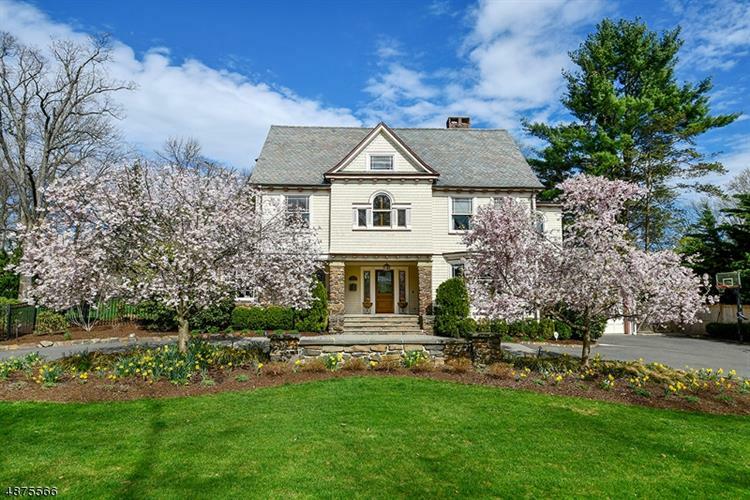 Fabulous Colonial Revival set on arboretum-like property w/ spectacular pool, elevated spa w/ waterfall & fountains. Gracious Entry Foyer w/ mahogany staircase, Liv Rm w/ gas FP & french doors to orig Sun Rm. w/ stone FP, beamed ceiling & wet bar. Large Din Rm w/ decorative FP and access to butler's pantry w/ glass cabinets, bar area w/ dishwasher & walk-in pantry. Stunning open concept Kitchen/Great Room w/ 2 sets of french doors overlooking the terrace & pool. Great Rm w/ high ceilings and outdoor views. Side hall w/Mud Rm, Lndry Rm & Full Bath has back staircase to lower level & door to 2 car garage. MBR has decorative FP, walk-in closet & beautiful bath, 3 add'l BR's & Hall bath on 2nd flr, 3 BR's & Full Bath on 3rd flr. This remarkable one-of-a-kind home has too much to mention. Must see to appreciate!